Financial fitness routine by LendingPoint - Get Money Strong. Build a monthly budget that translates into a savings. Give yourself two days to tackle this exercise. If you’ve never really thought about making a budget and all that it entails, including sorting through and tallying up your spending, then this task might take a little time. You want to be thoughtful and thorough, so it ends up being a valuable tool. The time you put into this will be so worth. This budget worksheet from consumer.gov is a helpful way to begin. This is financial your diet plan. How much are you going to spend on what? What calories/extras can you cut out? Think of this budget as a foundation for the new habits you’re going to build. Without it you might have a lot of good intentions for reaching your goal, but you won’t know how to get there. Start by looking at the last 4-6 months of credit card and checking account statements along with household bills like utilities and cable, to identify basic spending categories and reasonable monthly amounts to plan for. As a point of reference, check out these example categories that reflect national average budget percentages, as well as suggested ranges from our favorite money guru, Dave Ramsey. Specific – Set an exact threshold amount for each spend category. Measurable – Everything about a budget should be measurable, that’s how you gauge your performance. Another basic but effective way of realizing and measuring what you spend is to use cash only for the majority of your non-housing related expenses. With each pay period, set aside the cash for your non-housing categories and securely stash it away for use throughout the month. Once the cash is gone, there’s no more spending in that category. No excuses and no looking back. This cash-only budget control works, if you let it. Attainable – Your set budget amounts must be enough of a stretch that you feel the burn (see what we did there? ), but not so tough that you set yourself up for frustration or failure. Realistic – This one is right in line with the attainable point above. Be realistic about how much you truly need for each expense item. Don’t end up making money so tight that you feel deprived. We all know what happens then — you end up giving in to temptation and indulging in something you really can’t afford. In other words, don’t start with 25 burpies if haven’t been to the gym in forever. Timely – If you don’t keep up with journaling and expense tracking in a timely manner, it’s hard to turn these healthy behaviors into habits that you can own. Remember, a budget is a living document that will need to be adjusted periodically. It’s a good idea to revisit the amounts you’ve set, preferably quarterly. 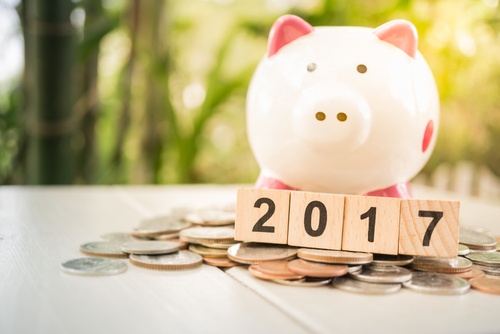 A change in circumstances like a new work location, a roommate who’s moved into your place, or a move to a new city with a different cost of living can all impact your budget amounts. Stay tuned for Day 5 of this financial fitness routine by liking us on Facebook, following us on Twitter, or simply visiting our blog. Remember, if you are in need of some extra cash while you’re on this financial fitness journey, you can always apply now to see what you qualify for. Get money strong with LendingPoint.